Many apologies for my extended absence at The Diminutive Review! We have just concluded one of the craziest months our family has ever experienced including moving to a new house in Phoenix and leaving the country for an extended period of time as a family. Great events for us, but not exactly a month where blogging felt like an appropriate use of time! Now that I have had a second to catch my breath, I stumbled upon some great kids' Camper shoes on Amazon today. We are experiencing a bit of a love affair with Camper Kids in our family. The shoes are spiffy, interesting, super light-weight and buttery-comfortable right out of the box. Our recent adventure has required the kiddos to do a lot of walking and Camper has been the shoe winner, hands down. I refuse to pay full price for these shoes (often in the $85-$100 range) and have been super pleased to see so many on sale at Amazon. Take the Pelotas 80397 sneakers above. They normally cost $85, but have been marked down to the $30-$39 range (54%-64% off) and they qualify for free Super Saver and Prime shipping. 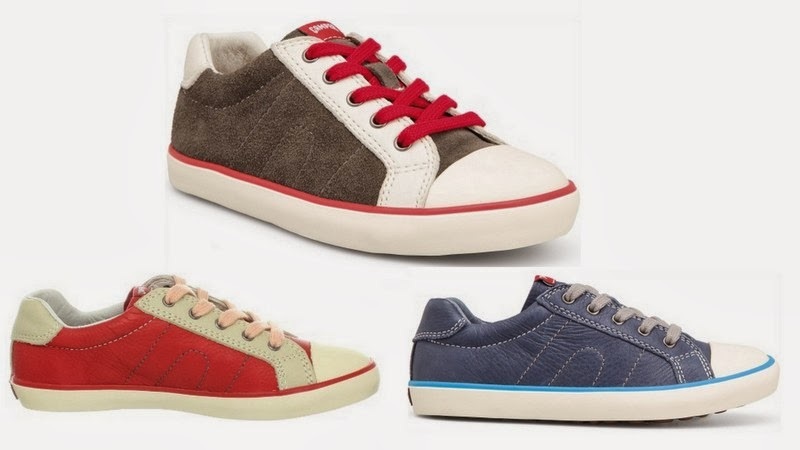 These come in the three colors above as well as a light gray suede with green laces (really cute), but there seems to be a little confusion with the product page as far as the colors are concerned and the light gray is not pictured as an option under colors. Being that they are all great colors, I don't think that you could go wrong. The Pelotas sneaker is available in sizes 23 toddler to 38 big kid. 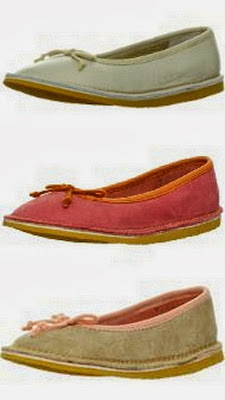 And now for a Camper with a touch more grace... the Nora 80400 slip-on in three great colors. These are available in sizes 23-38 also and, in the case of the beige pair at the top, have been marked down from $85 to $28.29 (67% off). Same free shipping as the Pelotas above. The other two colors are slightly pricier, but all are at least 50% off! I love a ballet shoe for kids that behaves more substantially than most. I bet that these feel wonderful and stay on while walking. Find all of the Camper deals at Amazon here . Welcome back! I was worried you had called it. phew! Congrats on the new house, etc. Congrats, and welcome back! You were missed! Thank you for the kind note! It is good to be posting again. Phew! You are one of the only blogs I still check. Glad you're back!